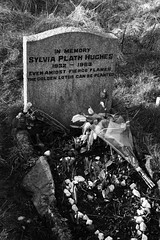 I love dear Sylvia and it distresses me that most often what is discussed is her suicide not her words. What are your thoughts on this Poem? I can’t read it, unfortunately. I need to keep scrolling across to see the words and the scroll bar’s way off the bottom of the page. This is probably my computer’s fault. I spilled coffee on it earlier and now it isn’t working right at all. Ta. Will take a squint. Sylvia Plath is a poetic genius.